The BOOST↑UP Wireless Charging Spot brings convenient, fast and cable-free charging into public environments. Universally-compatible, Qi-certified charging pads are easily integrated into any location to provide an enhanced customer experience. Qi-certification ensures compatibility with wireless-charging-enabled iPhones, Samsung devices, Sony, LG and many other Qi-enabled devices. 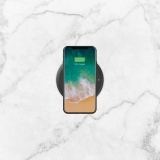 The BOOST↑UP Wireless Charging Spot for surface installation sits on top of a table or counter for convenient placement and easy-to-see availability. 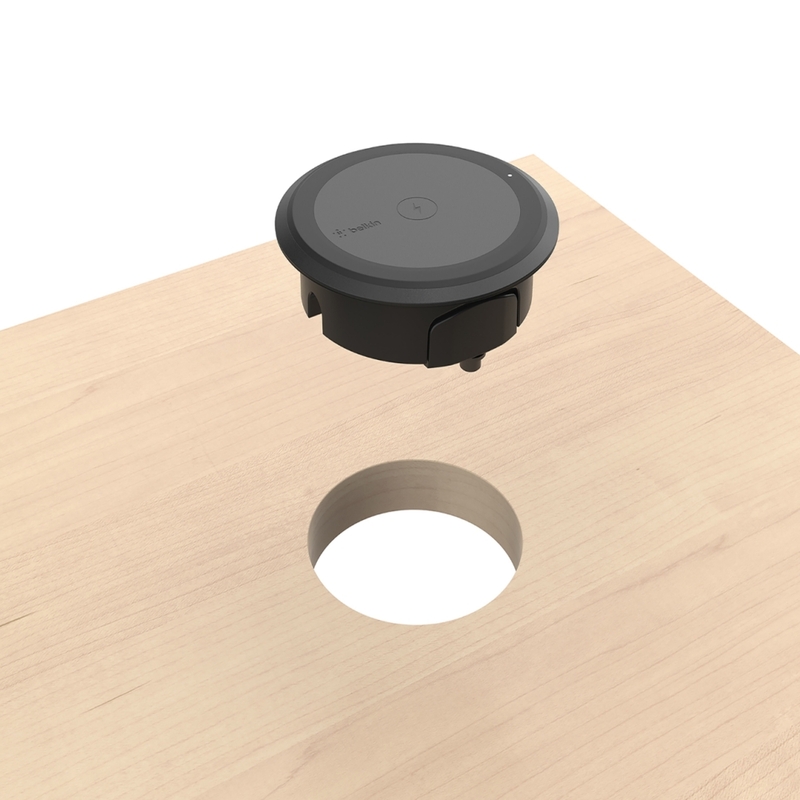 Installation is easy thanks to standard grommet-hole dimensions, although professional installation is recommended. 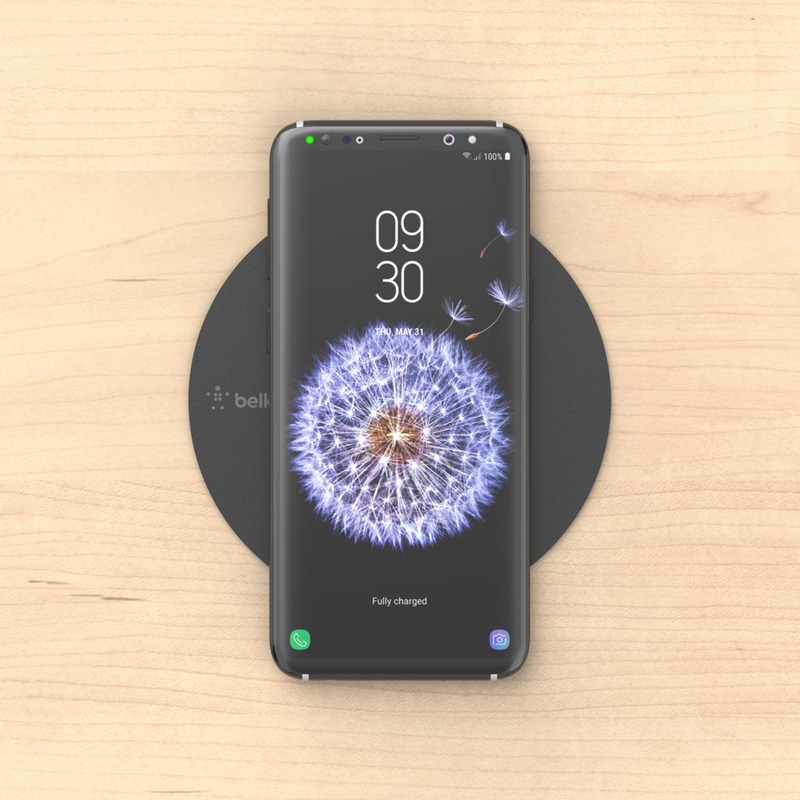 A window/table sticker is included to inform customers that wireless charging is available here. Designed for ongoing use in public spaces, the BOOST↑UP Wireless Charging Spot offers commercial grade durability. 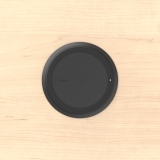 Liquid and dust-resistance preserve functionality and appearance, while semi-permanent mounting deters movement and theft. The included cable-management system keeps public spaces uncluttered and walkways clear to ensure business continues without interruption. 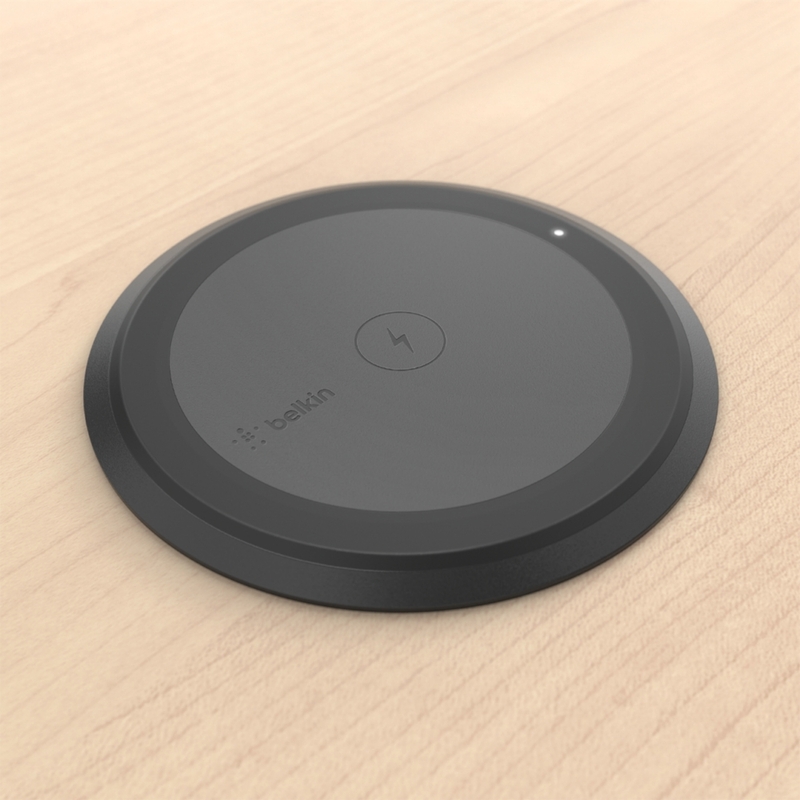 Integrate smart wireless charging into your workspace or venue with full scalability. Mass deploy wireless charging with an installer app and monitor your wireless charging network through a cloud managed platform via Chargifi. 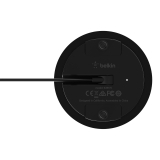 Download flyer to learn more or contact us at InsideSales-Commercial@belkin.com for more information and special pricing. 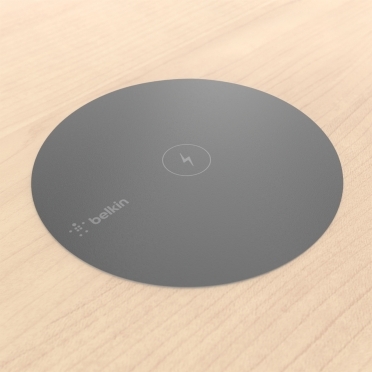 Belkin is dedicated to quality and provides a two-year warranty with the BOOST↑UP Wireless Charging Spot.